Oops, I inadvertently missed a week; doubling up today to catch up. 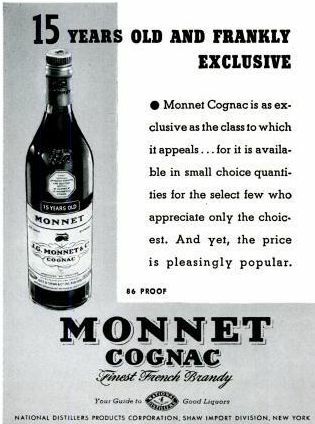 Next, an ad from the July 19, 1937, issue; this one reflects how much our drinking culture has changed since the 1930s. Few people today drink vermouth on its own, of course, even though more of us should. 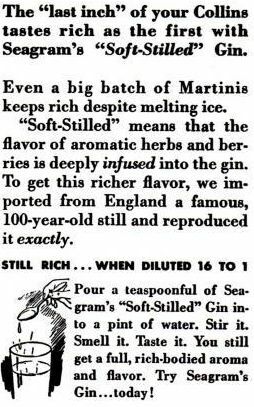 Of course, this ad reminds me I keep promising to make Vermouth Cassis for Mrs. Bitters. Oops. 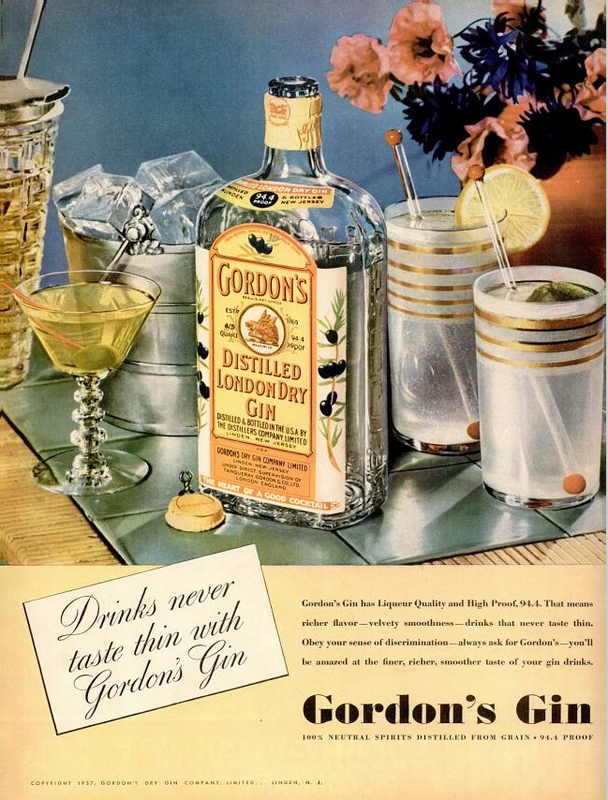 Love this Gordon’s ad. Love love love love. Life mag, July 5, 1937. First, I love the stem glass, especially the stem, but also the bowl. The other glassware, the ice bucket, the martini pitcher. All lovely, and all items I now covet. I love that the martini has a bit of color to it, perhaps from the vermouth that was used. But I also really love the bottle. Let’s look at that in fancy giant size. Some hot stuff here, folks. These are the gems that keep me coming back to this feature. 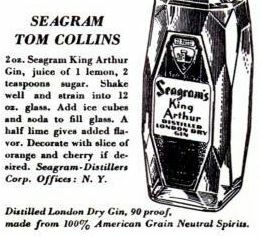 The New York State Liquor Authority has stopped Gin Palace, a new East Village bar, from serving cocktails on draft, according to its owner.